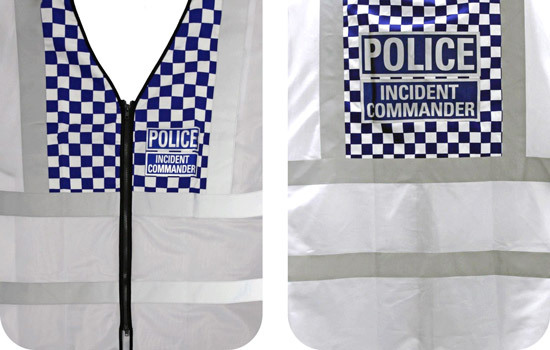 The Police Commander on the scene will wear this tabard. 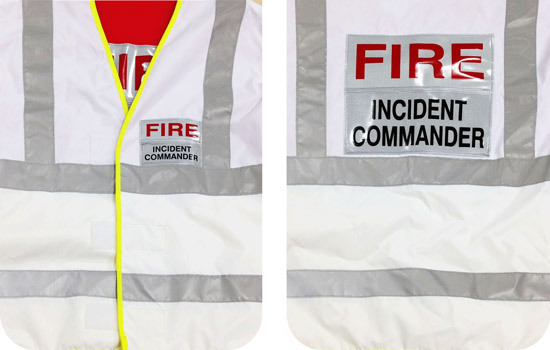 The Operational Commander would wear this tabard. 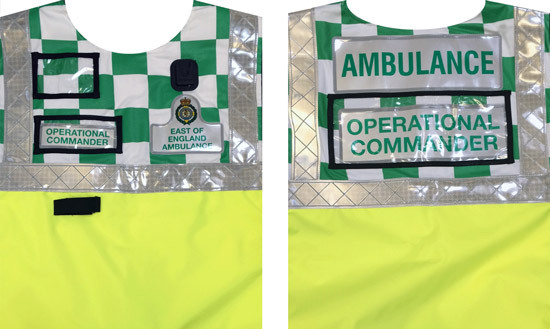 The Tactical Commander will wear this tabard (referred to as the Ambulance Incident Commander). 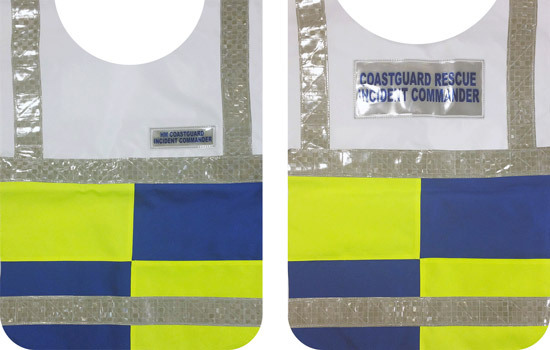 The incident commander tabard would be worn by the HM Coastguard operational commander. 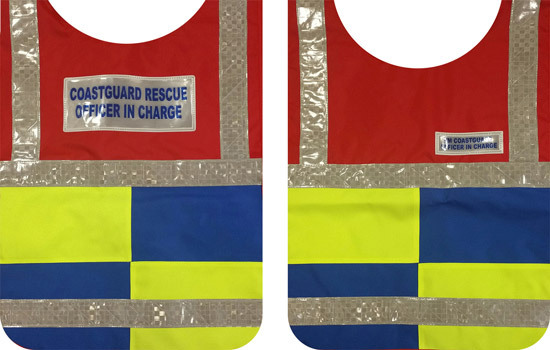 The officer-in-charge tabard would be worn by the person in charge of the HM Coastguard team deployed. 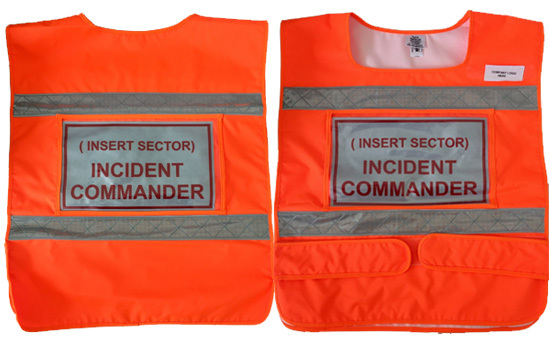 The commander from any emergency responder organisation at the scene of a multi-agency incident could wear a similar design tabard. 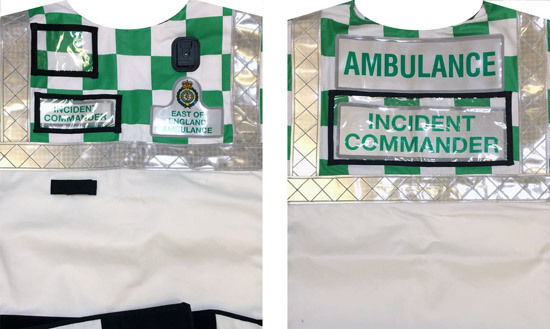 For further information please click here.